If you have a Twitter account please add #Sport_England don't forget to follow #CransleySailing too. 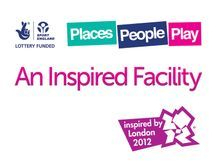 the Sport England's Inspired Facilities Fund. 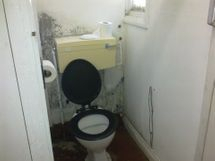 The money will be used to re-develop the toilet and changing room facilities, which will involve new toilets, showers, lockers, flooring and a training room. This will greatly improve the clubhouse and give our existing members and new members who will join us in 2013 a better environment to enjoy the club. The project is well underway, with the work expected to completed at the end of March so the new facilities can be enjoyed for the 2013 season and beyond. This is the latest funding that the club has been awarded and takes the total awarded to the club over the last three years to over £100,000 which has enabled us to greatly enhance the club and its facilities. really paid off and is very much appreciated. John Hughes for keeping a weekly photographic diary of works taking place at the club. the best instruction, using the best equipment in the best facilities possible, where people also feel welcome and can make friends. For people to stay in any sport they have to enjoy taking part and these four factors contribute massively to that. The London 2012 buzz was all about 'legacy' and this is what 'legacy' looks like in real terms at the grassroots level." said: "Once the refurbishment of the changing rooms is complete there will be no excuse for not staying after sailing and enjoying the tranquility of Cransley over a pint!!!! 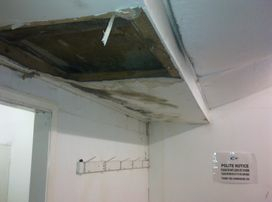 Of course discussions over rules, protests, training requirements and the on water incidents can be played out in the purpose built (sound proofed) training room as well !!." I hope you’re well, had a nice rest of your weekend & have now just about recovered from all your exertions required for making Saturday’s event as successful as it was! I just wanted to thank you & everyone at the club again for inviting me to attend the official opening of your lovely redeveloped clubhouse facilities. It was lovely to be part of something like that & see tangible evidence of the difference money that’s come around as a direct result of the Olympics/Paralympics will have in the future! I was made to feel so welcome by 1 & all & really enjoyed seeing the family feel that’s so evident everywhere I looked around the club both on & off the water! I hope that the facility gets the use it deserves in future which I’m sure goes without saying! I also wish you & everyone at the club continued success in the future & if there’s anything else that I can help you with then please don’t hesitate to get in touch as you know where I am! Take care, let’s hope the sun keeps shining for you as it did on Saturday (maybe with a bit more wind) & i’ll look forward to seeing & working with you again in the future!